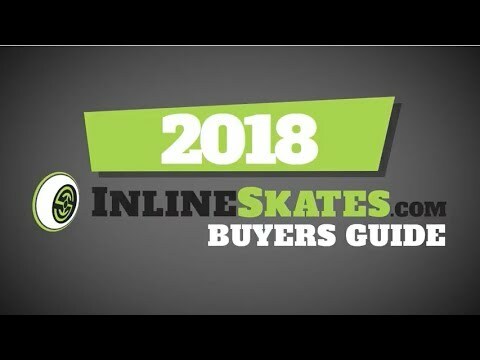 Take your fitness skating to the next level with great performance and comfort with the K2 Alexis 84 Pro Inline Skates. From head to toe the K2 Alexis 84 Pro women's inline skates have it figured out. When you initially slide on the Alexis 84 Pro you will be hit with some softness and support thanks to the K2 Original Softboot and stability plus cuff. This mix gives you immense comfort from the Softboot and the ability to push off with great control thanks to the hard plastic stability cuff. Also, to ensure that your new skates don't get stinky there is an antimicrobial footbed included in the skate. Underneath the comfortable boot you have the 84mm wheels paired with the ILQ-5 bearings which will roll smooth and easy even over slight imperfections in the skating surface. The 84mm wheels are large enough to roll smooth over rough patches but aren't so big that you will feel out of control. To make sure you get the most out of each stride the K2 Alexis 84 Pro comes with the D.C. aluminum frame that works to offer a great power transfer so you can get your monies worth out of each stride. These are flashy, light-weight skates. They are nice for any beginner/intermediate skater. 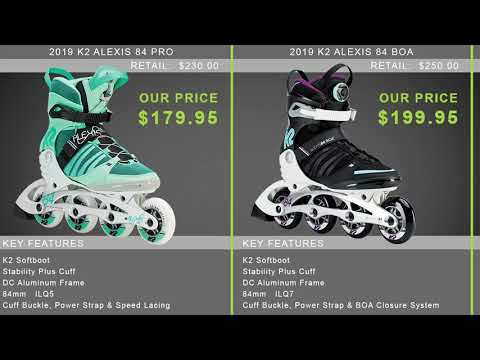 Women’s K2 Alexis 84 Pro Inline Skates. Q: I'm not seeing my size available. Will these be restocked? A: I don't see any on order at the moment but depending on the season we may restock. If you need a size that we are not stocked in I'd recommend calling customer service and they can look into special ordering them for you. Q: What is the breathability? A: The K2 softboot by design provides great ventilation and the K2 Alexis 84 Pro also has a mesh lined upper to promote better air circulation in the boot. I personally skate with the men's version of this skate and have never had an issue with breathability even on warmer days.